If you are someone that has taken time and effort to create the perfect garden, then the last thing you want is something that is going to spoil that. 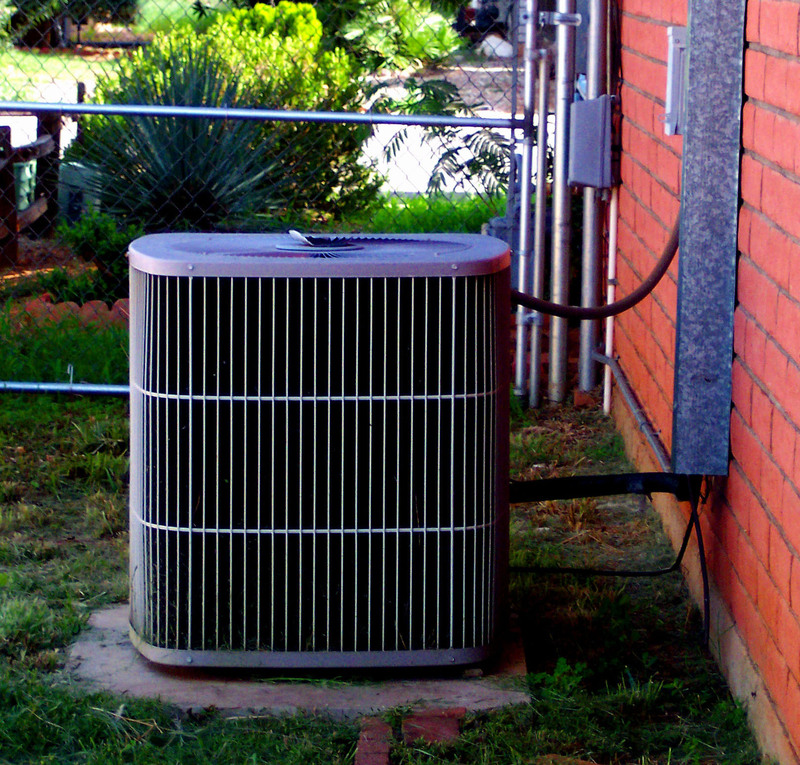 As your air conditioning unit is going to be made up of a large box put outside somewhere on the side of the house, if you don’t look at ways to disguise it then it could be a bit of an eyesore. Of course when you are looking at covering anything like this you need to make your air conditioner fit in with the theme of the garden to ensure that you do so in a way that isn’t going to be detrimental to the running of the machine – for example it needs a couple of feet around it as space to run properly. This can make your options of covering it up a little limited. However the good news is that this is a problem that is quite widely recognized and therefore there are options that are open to you. 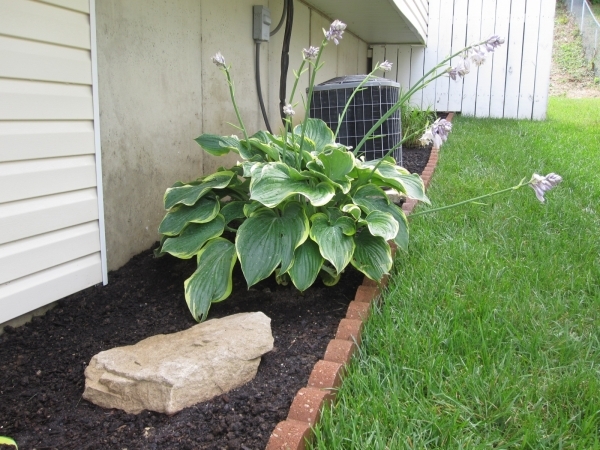 You can use plants to disguise the area but you need to be careful about what you use. Your air conditioning unit will send out a steady flow of hot air which means that many plants won’t be able to survive in the conditions. The best thing you can do is use fast growing vines or plants with larger leaves. As these grow quickly they can grow around the box with no problem. That way even if they can’t grow directly over the unit because of the hot water, the rest of the beautiful looking plants in the area will draw people’s eyes away from the box and it will become unnoticeable. You can also look at building some sort of privacy screen so that so the whole area where the air conditioning unit is, is covered. Bamboo privacy screens have been popular for this use because they’re fast to grow and are drought tolerant. As they come in many different styles they can also add a fantastic feature to your garden and get people looking towards that area for all of the right reasons. Popular plants for this include texture plants such as a Mint Busy, New Zealand Wind Grass or Marjorie Channon. 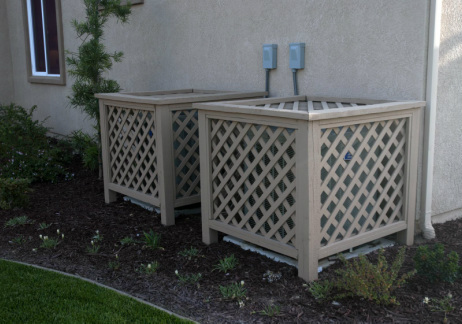 All of these are quite sturdy plants and can be used to attract peoples attention on the right way and stop them from seeing your unsightly air conditioning unit box. Of course when you are having an air conditioning unit fitted you also need to give some thought to where you are going to place it. If you have a side of your house that doesn’t face the main part of your garden you could look into seeing whether it could be fitted there? 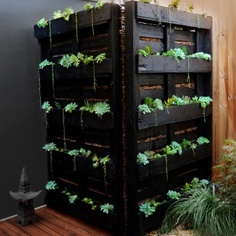 At least with it out of the way you can get on with making the rest of your garden look beautiful without having to worry about how to cover the massive box of your air conditioning unit. Author Biography: Emily Davies lives in the UK just outside Birmingham, she recently had air conditioning installed by Andrews air conditioning because it can get quite warm and stuffy inside the home in the summer, air con also helps breathe easier within the home. I love the idea of masking an air conditioner with plants. It would keep the unit cool, too. I’ll have to show this to my husband when I get home, but I know I’d love to try this. I could plant herbs that I could get for my kitchen if I were cooking something, I would love to have access to fresh basil and parsley.